Because who doesn’t want their locks to coordinate with their shiny rose gold phone (srsly, who!?). Reach for our LIVE Cool Rose for a colour that’ll have you crushing in no time. Pastel hair, just don’t care. For a subtle take on the pink look, create your own custom pastel shade with our LIVE Ultra Brights or Pastel - find out more on how to do it here. Dreamyyy! Can we all just take a moment to soak in this pink ombre get-up? If you can’t even deal with the hair goals, then grab a box of our LIVE Shocking Pink and get ombre-ing, girl! You know what beats pink? Double pink, obviously. Use our LIVE Shocking Pink to achieve this two-tone hue, applying straight from the Colour Cream tube to for an intense colour, and mix with the in-pack conditioner for a perfectly pastel look. Oh hey, lilac lovers! 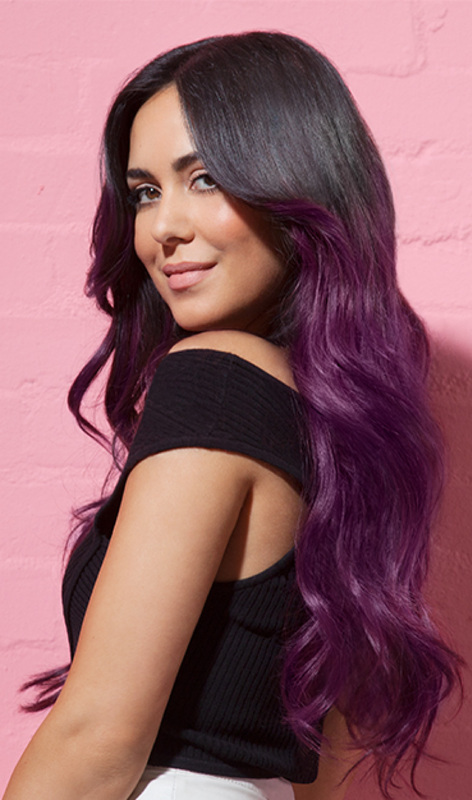 Of course we’re all over the lilac look, but adding an ombre into the mix sets our hearts racing! Time to ‘fess up. Got a sweet tooth that can’t be contained (because we defs do)? Well get this deliciously vibrant number using our LIVE Raspberry Rebel shade, for an intense & fruity sorbet hit! Glam and grungey in equal measures. Rock a muted-toned outfit to really make that deep pink pop. Ready to show off you pink look? #LIVEColour on Instagram or post on our FB for the chance to appear on our website.